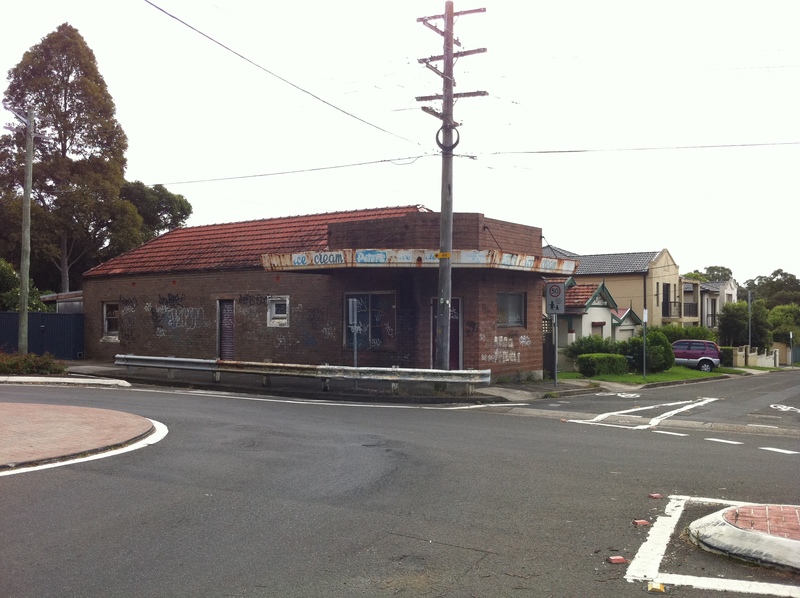 On a surprisingly busy intersection in the backstreets of Earlwood sits this former corner shop. It’s impossible to say why it closed, but the fact that I was shouted at by passing motorists twice while I took these photos suggests that the proprietor may have decided that the rude residents didn’t deserve a convenience mart. 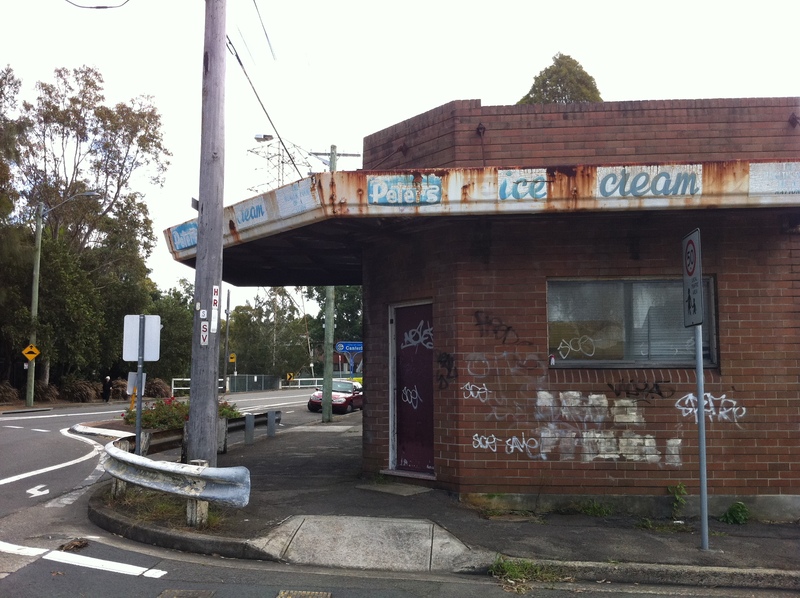 Peters Ice Cream seems to have had an iron grip on this place in its heyday – closer inspection reveals even older Peters signage beneath what’s visible. Peters used ‘The health food of a nation’ as a slogan from 1923 through to the 1970s, after which time health food shops stopped carrying Drumsticks. Ice cream companies couldn’t get away with a slogan like that these days, that’s for sure. The signage the shop sports today doesn’t exactly scream ‘C’mon in and get your bread and milk.’ The back of the shop appeared to be a residence, so the shopfront is as good a deterrent as any for burglars or Streets fans. Hi Jill! I’m afraid this one’s at the corner of Woolcott and Fore Streets, but I’ll check Riverview Road out soon and see what can be found. Good luck on your search! Hi, old post I know, but we lived in the dead end of woolcott st from about Easter 1978 till 1995 or so. That shop was open when we first moved there, but closed soon after, maybe 78 or 79. I can remember going up there (only 2 houses up) and getting ice creams. I asked mum about it, we both remember it just kind of not opening much and then not at all. I was only little, like 4, when it closed. There was always someone living in the residence at the back though. Grew up round the corner in Karool avenue. A Mrs Easson was the proprietor of this shop, I remember regularly going there between 1960 and 1980 when we as kids fell out with our local keeper Mr. Smyth. His shop was located on the corner of Permanent and Karool Avs and is now also bricked in. Both saw huge social and demographic change in the 1960s. Up to that point the owners were generally of the Anglo Celtic WW1 soldier settlers that populated the new suburb of Earlwood in the 1920s. By the 1960s they were in their 70s and then came a huge influx of Greek migrants and the businesses nearly all changed hands. Also around that time families got cars and we all began to shop at the new Franklins and Coles supermarkets in Earlwood proper. So these corner shops all failed by the late 1970s. Surely this is the only place in Sydney where people (150 meters away in Caroline St.) campaigned in 2007 to have the Govt. 472 bus service rerouted because they claimed the street wasn’t wide enough for the bus and that their cars were being damaged. Sydney Buses jumped at that suggestion and a bus service that had run for 65 years was terminated in 2011. 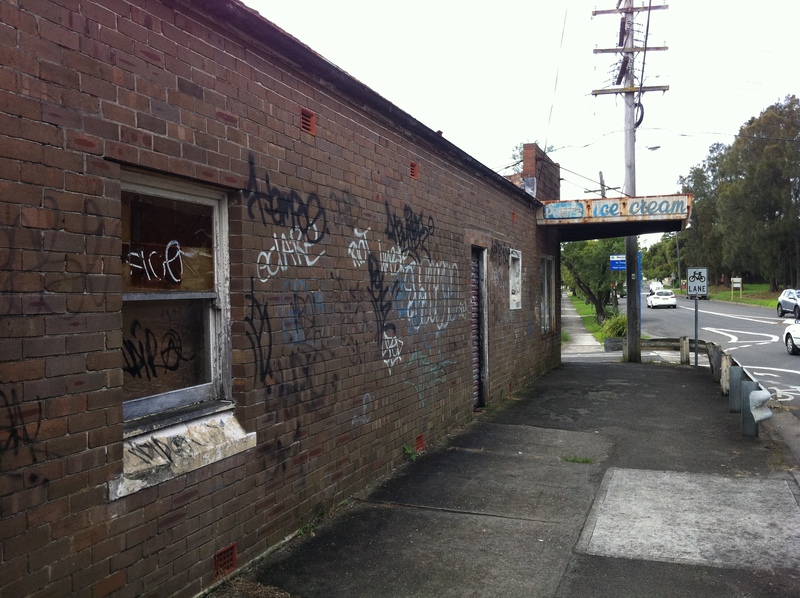 Earlwood hasn’t presented well for urban renewal because so many of the houses were so unsympathetically altered in the 1970s through 90s by the people that live in them now. Sites like this shop will wait many years for renewal. So fascinating, David. I moved to Elsie St this year and have been intrigued by the corner store. A post on the local Facebook page yielded some memories from residents. I think it’s such a shame the corner stores have gone or haven’t found new life as cafes (like revolver cafe in Annandale, my corner store when I was a kid). 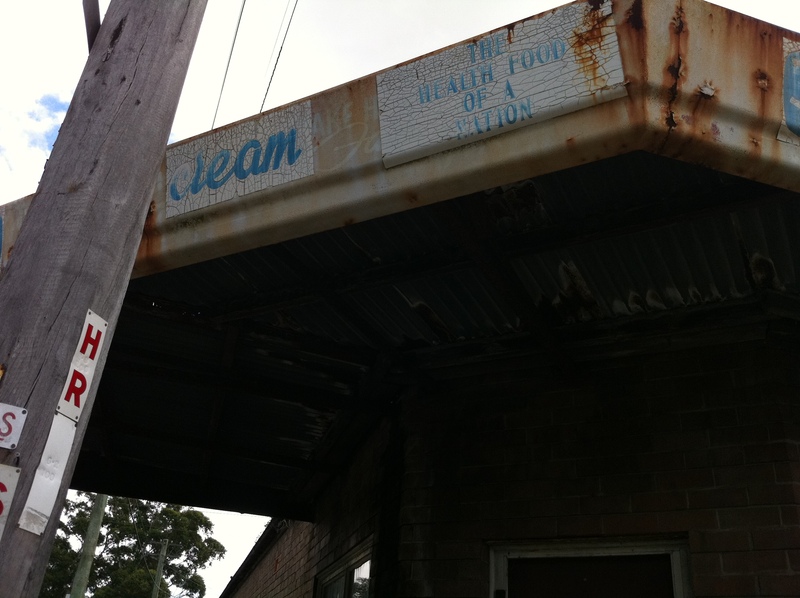 I would love to chat to you about the history of the area sometime – are you still local?